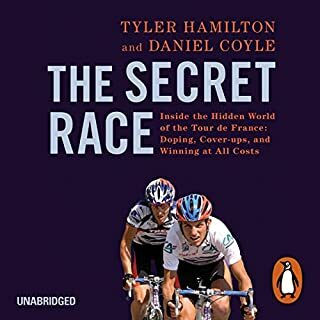 On a fateful night in 2009, Tyler Hamilton and Daniel Coyle met for dinner at a restaurant in Boulder, Colorado. The two had met five years before while Coyle was writing his best-selling book Lance Armstrong: Tour de Force. But this time, Tyler had something else on his mind. He finally wanted to come clean, about everything: the doping, the lying, his years as Lance Armstrong's teammate on U.S. Postal,, and his decade spent running from the truth. "I'm sorry," he told Coyle. "It just feels so good to be able to talk about this. I've been quiet for so many years." A brutally honest insight into the professional world of road racing in days gone by. The Tyler lays it all on the line, in a very brave, careful and honest retelling of what must have been a very painful experience. I hope it paves the way for others to set the truth free, and offers new professionals a good reason to stay clean. It also managed to be charming, funny and at times very caring. Fantastic, I'm glad I've added it to my list of completed books. In August 2015 Guy Martin crashed out of the lead of an Ulster Grand Prix superbike race held on the world’s fastest racetrack. He had invasive surgery to bolt his broken spine and hand back together, and within days he decided he needed some time away from road racing. But he wasn’t about to take it easy. please read your own book guy! Superb! Another great book from Guy. I really hope there are more books to come. Informative and honest, what's not to like. 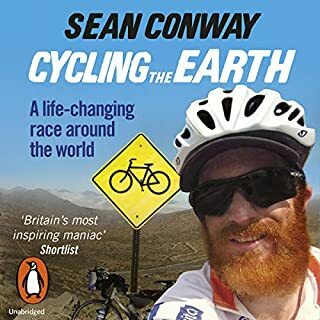 Sean Conway was stuck in a dead end life of his own making when he heard about a round-the-world cycling race. He was immediately inspired - but it was a huge undertaking, and he'd hardly been on a bike in years. Could he really cycle all the way round the world, solo and unsupported? Six months later, after completing a punishing training schedule and packing up everything he owned into boxes, Sean was in Greenwich Park, on the start line of the adventure of a lifetime. A very remarkable journey, fulfilled by an amazing human being. I really enjoyed this book, it certainly makes me want to do more with my life. 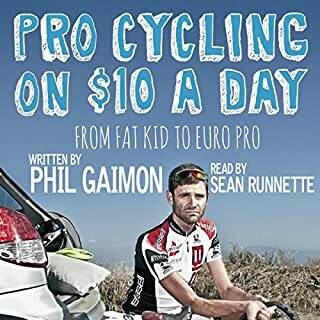 Plump, grumpy, slumped on the couch, and going nowhere fast at age 16, Phil Gaimon began riding a bicycle with the grand ambition of shedding a few pounds before going off to college. He soon fell into racing and discovered he was a natural, riding his way into a pro contract after just one season despite utter ignorance of a century of cycling etiquette. Now, in his book Pro Cycling on $10 a Day, Phil brings the full powers of his wit to tell his story. Absolutely brilliant. Great insight. Funny. This is written with grit, humour and most of all a genuine honesty that transcends from there to here. It simply is a wonderful thing! "The maddest 12 months of my life. The journey starts with an oddball race up an American mountain and ends with me checking myself out of hospital with a broken back. 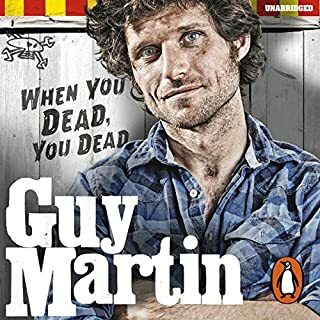 Again..." As Guy Martin's grandfather, Voldemars, frequently reminded him, "When you dead, you dead". 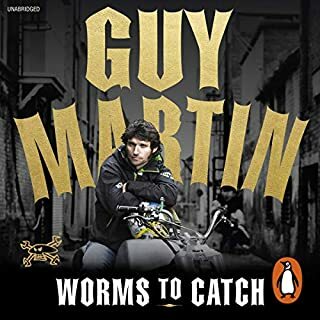 So, before it's all over, Guy Martin is making the most of the time he’s got. Makes sense of a lot of what you see in the news. Blatantly honest and revealing. Funny, witty and intellectual at times. I looking forward to see what he does next.